Motivation, one of the most seek after topics when it comes to achieving goals, living your dreams and becoming successful. People who accomplished outstanding success in life seem to be able to call upon their motivation and get things done, all the time. Well, here’s the good news, if they can do it, you can do it too. All you need is to learn how extraordinary people handle and manage their energy and to stay motivated every day. I believe that everyone has their downtime. There will be times when you are feeling extremely motivated; you are beaming with energy, and you want to take massive action. On the other hand, there will also be times when you feel low energy and lack of motivation. You just want to procrastinate and put things off. You feel tired, and you don’t want to do anything. This is a very normal human psychology. It can’t rain all the time, and it can’t snow all the time. There will be the sunshine, and there will be rain. The key to living a successful life and maintain your motivation is in how you manage your state or your emotion when the downtime comes. When it rains, you have to learn to how to dance in the rain. Most people do nothing when the rain comes. Some even complain or blame the rain. Don’t do that. I’m going to share with you 17 quick and easy tips how to stay motivated every day. You don’t have to do everything. Just pick one and do it when you are feeling down. James Clear explained this 2-minute rule in his blog clearly. He said that if you want to create motivation, you have to make the task so small and so easy to do through the application of the 2-minute rule. If you can do it within 2 minutes, do it. If you can’t, break down the task or just do the task in 2-minutes. For example, if you are required to write 500 words article and you don’t feel motivated to do it, just spend 2 minutes to do it. You can write the title, the first paragraph, a single sentence or just do some drafts. The key is to make the task seem so fast and so easy to do that you want to “trick” your mind into doing it so that you will take the first step. And once you have taken the first step, the second step will automatically unfold. You want to build the momentum through taking the first simple step. Use this 2-minute rule when you feel like procrastinating and skip your task. When you feel bored, you won’t feel motivated. If you want to get motivated, you must inject the fun factor into the task. Most people fail to achieve their goals because their goals are not fun or exciting to them at all. Think about it, why do you feel no motivation to work on your goals or your dreams? The answer is because they are not exciting to you. That’s why you don’t feel motivated or attracted to them. Make your tasks and work fun. If you think that jogging is boring, try to bring along your earphone and put on your favorite songs. You will be more likely to jog. Try to invite friends or do a boring task together with your partners. You will feel more motivated because there is someone there to accompany you. Thus, inject the fun into your work and your tasks. Make your goals fun and exciting to you. This is one of the easiest and fastest ways to get motivated. About 15 minutes after you drank the coffee, you will feel more alert and the refresh. Some people are against the idea of drinking coffee especially the instant coffee mix. Well, I’m not suggesting you drink 10 cups a day, just a cup of coffee in the morning will do. Plus, you can buy the filtered coffee instead of drinking the instant mix. It will boost your motivation and make you awake. And this is what I do every single morning, to get more work done and to chunk out content for this blog. When you are down, just talk to someone who is motivated and positive. Their energy will influence you, and you will feel better after that. Imagine when you feel like procrastinating, and you talk to Richard Branson or Elon Musk, how would you feel? Thinking about would even make you excited, right? Energy is contagious. When you mix with low energy and negative people, their pessimism will affect you. Conversely, when you mix and talk with motivated and positive people, you will feel great because their positive energy flows and charges you. Pick up the phone and call someone when you are down. Just a few minutes of conversation and turn your mood around. Taking a power nap is effective especially in the afternoon right after your lunch. People feel tired and sleepy after their lunch because their stomach uses the energy to digest the food. Thus, don’t eat heavy meals. Go for smaller meals instead. Extraordinary people such as Eleanor Roosevelt, Leonardo da Vinci, Albert Einstein, and Thomas Edison took quick naps throughout the day. Success is a marathon and not a sprint. You need to maintain your energy to stay productive and motivated. You cannot do great work if you are feeling tired and sleepy all the time. So take a short quick nap to recharge and refresh your mind. Read more about taking power naps from Michael Hyatt here. This is a very common technique that most people underestimate. You can read a motivational book, watch a short inspirational video or listen to uplifting songs to keep you up. Even when writing this article right now, I’m listening to uplifting music. And each morning I will read something inspirational before I start my day. For books, you can go for Chicken Soup for the Soul series, for inspiring autobiographies like Elon Musk, Losing My Virginity, Zappos, and Steve Jobs. For short inspirational videos, just do a search on YouTube, and you will get a ton from there. However, make sure you did not spend all your time searching for these videos and procrastinate on your tasks at hand. The same goes for uplifting songs and music. Just YouTube or do a Google search will give you sufficient ideas. To make this method more efficient, create your playlist so that you don’t have to search for it again the next time. Celebrating your win is important, but most people don’t do it. When you don’t feel motivated, try to recall how much you have done. Even if it is a small action step like making a call or sending an email, celebrate them. Feel good that you have taken one step and got yourself closer toward your goals and your dreams. More importantly, feel the emotions. Feel the satisfaction and the “winning” in you. What truly drive you are your emotions. So celebrate your wins and feel them. If you want to stay motivated every day, you must create something to look forward to. Why do you wake up each day? Do you wake up with passion and the excitement of each day? Or do you wake up feeling tired and bored? Research has shown that older people tend to live longer when they have something to look forward to. What do you feel excited about? Imagine you are going to travel to the country that has been in your goals’ list for a long time, you are feeling excited and passionate, and you just can’t wait for the day to come. Can you sleep well the night before? Would you wake up beaming with energy and excitement? Of course, you would. Therefore, create something that you will look forward to. Create something that is fun, exciting and something that can ignite your passion. When you have something to look forward to, you will feel excited and can’t wait to do it. You will tap into your inner motivation and energy. So make your life excited. Live with passion. Dream your dreams and visualize the success you want each day. One of the quickest ways to get motivation is by revisiting your purpose. 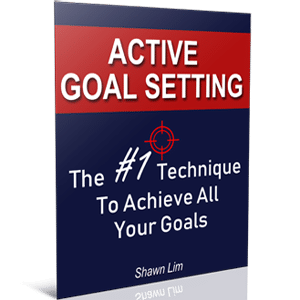 Why do you want to achieve the goal? Why do you want to be successful? Ask the “Why” question to discover your purpose. When you have a strong and compelling reason, nothing can stop you. Why do you want to wake up each morning? Is it because you need to work? If your answer is a yes, then there is a high chance you won’t feel motivated about your job. When your reason is not compelling enough to excite you, you will never feel motivated. This is why most people prefer to continue to sleep more rather than waking up for the exciting days that are waiting for them, because they’re not feeling excited to wake up at all. Thus, write down all the reasons why you want to achieve what you want in life. Review these reasons from time to time. If these reasons do not motivate you, you know that they are not compelling enough. And probably, it is why you fail to reach your goal. Find your reason now and know why you want to do what you do. Our emotions are greatly affected by our motions. When you move fast, you feel more energetic and motivated. When your shoulder slumps, you sit in a relaxed posture; your eyes are looking down, and your breathing is shallow, you will feel the lack of energy and sleepy. Try to stand up right now and do 10 times jumping. Go ahead and do it right now. It is alright if people think that you are crazy, let them be. Did you do the jumping? How do you feel? Well, if you follow through and do the 10 jumping, chances are you will feel energetic and more alert. Why? Simply because you have moved your body. You have changed your motion, and as a result, you experience a state change. Use this technique to keep you motivated each day. When you are feeling no motivation, lack of energy, bored or sleepy, try to move your body. Do some jumping and stretching, stand up instead of sitting and try to walk around. You will feel much better after that. This is similar to revisiting your purpose. If you are a constant reader of my blog, you will know that I write down my goals every day. I practice daily goal setting. And you should too. There is nothing to lose but everything to gain. Writing down your goals reminds you of what you want to achieve, and this exercise can give you a clear direction of what to do each day. If you have no idea where to go, you will end up following the crowd going wherever everyone is going. And when you are clear about your goals, you know where to go, and you can take the right actions to reach there. More importantly, goal setting ignites your motivation. When you write down your goals in words, it shows that you are committed and serious about them. Plus, your mind will imagine in pictures when you put down the words. It helps your mind to focus on the goals rather than the distractions and problems around you. I strongly suggest you write down your goals every day. It does not take long. Just a few minutes are all you need. This is a very powerful way to stay motivated and on course because there will be someone to monitor your progress. Choose someone who is positive and able to support you. Better yet, get a mentor or a coach. Why do you think great athletes have coaches? And do you know that most successful business people have mentors to help and guide them? When you have an accountability partner, you will be more committed because there is someone looking over your progress. Eustress is a positive stress that motivates you to go higher and accomplish what you want in life. Steve Jobs has Steve Wozniak as his partner when he first started. And he has Mike Markkula to give him advice in business. In the movie, “The Matrix”, Neo has Morpheus to guide him to get “unplug”. In Lord of The Rings, Frodo has Sam as his partner when he journeyed to destroy the ring. Nobody can make it alone. Both you and I needed someone to guide up and help us grow to the next level. So find an accountability partner right now. Make a public commitment by sharing your goals and what you are going to do to get there with people who will support you. When you do that, you will feel the commitment because you have just made the words. Make an empowering bet. For example, if you need to write and publish a blog post, make a bet with people you trust. You can say that if you fail to do it, you will have to eat a can of dog food. You can be creative in this. Or you can make a bet and promise to yourself. If you fail to accomplish your task, you will have to stay later to finish the work. You will not sleep until you get the work done. This way, you will be able to stimulate some motivation and put yourself in a situation where you cannot retreat. When you are in a situation where you do or die, you will unleash your inner potential and motivation to achieve amazing feats. Let the desperation and the eustress drive you to achieve more. Doing affirmations is a popular technique. Everyone knows about affirmations, for one reason, because it works. Affirmation is just like pep-talk. Before a sports match starts, you can see the team players gather round and do some shouting; they called it the pep-talk. And it is the same as affirmations. The only difference is that a pep-talk or a war cry is done in a group while affirmation is usually done alone. So whenever you are feeling down and feel no motivation, do some affirmations. Most people find affirmations don’t work because they did not do it seriously. Don’t just do it for the sake of doing it. You have to make it as real as possible. Make it emotional and repeat your affirmations seriously. Stand in front of a mirror. Look at yourself. Repeat your affirmations as many times as needed. Clench your fist and do it with power. Feel the energy flowing in your body. Say your affirmations out loud. In the beginning, you won’t feel anything. However, if you keep doing it, you will feel a state change, and you will feel motivated. Try it yourself and see how this technique can make you motivated every day. The best way to get things done is to make it into your habit so that you don’t have to depend on motivation. Motivation is important in the beginning, but once things have become your habits, motivation is not as important anymore. And that also means that you can create a habit to build your motivation. And to do this, you need to develop a cue and build your routine. You can make affirmations your habit so that it becomes the cue to get you motivated. For example, I will sit at my table every morning at 9am and I will start typing articles and chunking out content. My cue is that I will make a cup of coffee, review my to-do list and write down my goals. After I’ve gone through these activities, I will automatically feel motivated and start typing. What about you? What do you need to do to feel motivated? And can you develop the cue and turn it into your habit? Do you need to listen to uplifting songs before you start your work? Or do you need to go to the pantry to get a drink before you start your work? Create the routine; turn it into your habit that will cue your motivation. The way we sit, walk and talk will greatly affect our energy level. Someone who talks slow and sits with a slumped shoulder is not going to be as energetic as someone who talks faster, walk faster and sit straight. Your physical posture will determine your energy level. Try to sit up straight, and you will feel better. You can feel more energetic and motivated just by changing your posture. This is especially important for people who have to work and face the computer the whole day. Make sure you sit up straight and maintain a good posture. Try to take a walk or stand up every 15 or 30 minutes. And like I mentioned above, our body is created to move. So move your body from time to time. Finally, if you want to have motivation each day, you must learn to take a break. Take a short nap when you need to. Slow down and take a walk in the garden. Go for holiday and travel oversea when possible. Our motivation is like a bar. It will drop unless you recharge it. You charge your phone everyday right? Why don’t you do it to yourself? Taking a break is not being unproductive; it is part of recharging yourself so that you can go farther. This is why the Pomodoro technique works so well. This technique suggests people work for 30 minutes and take a 5 minutes break. And continue to repeat the cycle. If you want to stay motivated every day, schedule breaks into your timetable. It depends on which race you are in. Are you in a quick 100m sprint or are you running a marathon? Imagine people who run the marathon sprint and use up all the energy as fast as possible. Do you think it is a good strategy? Not at all. Success is like a marathon. It is not about how fast you can go. It is about how long can you maintain your pace and keep moving forward. If you sprint, you will use up your energy fast. You will suffer burnout. And you will get tired and feel exhausted. These are the 17 quick and easy tips how you can stay motivated in your daily life. You don’t have to implement these tips all at the same time. Just pick one and do it whenever you need to. Better yet, practice them daily, make them your routine and turn them into your habits. So what do you do to keep yourself motivated every day? If you like what you are reading, remember to share.